Metorik makes it easy to get the data you need when you need it. 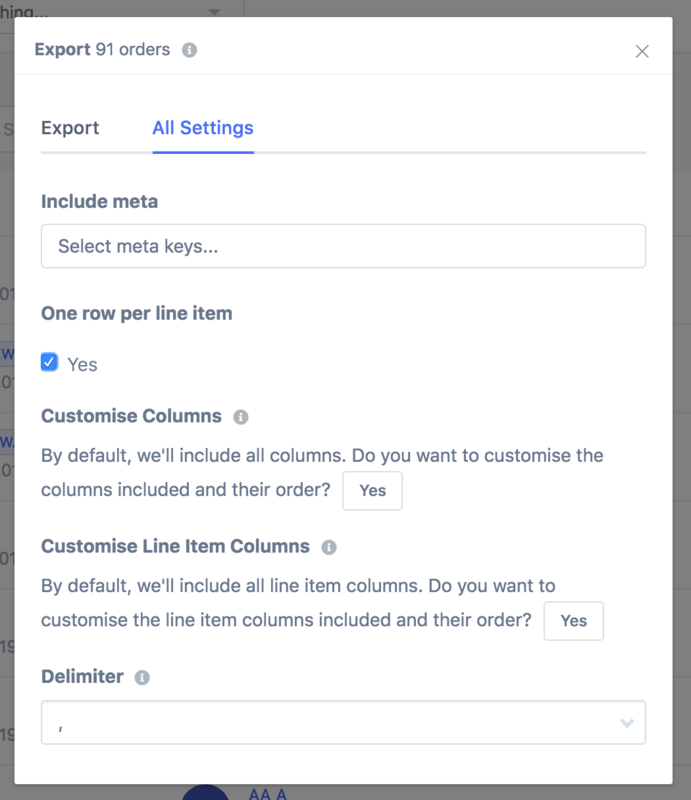 You can export from any 'resource page', like orders and customers. 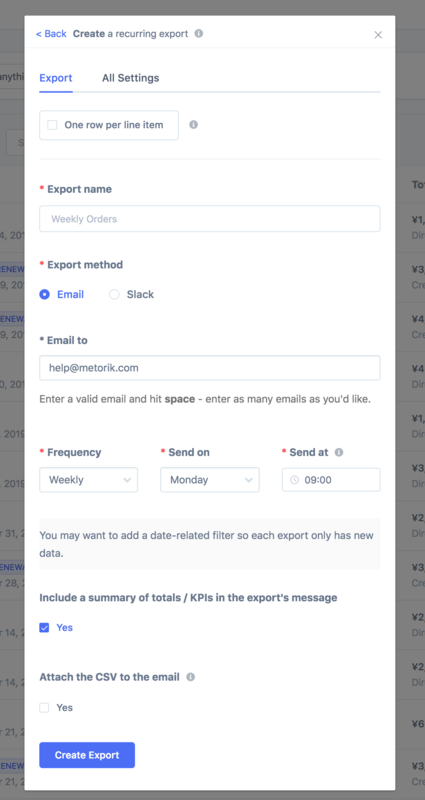 When exporting, you can either export immediately or make an export recurring. At the moment, exports are CSV files. This allows you to export right there and then. If the size of the export is large (eg. 10,000 orders), the export will be emailed to you. Otherwise, the export will be emailed to you (your account's email) a few minutes later when it's ready. Alternatively, you can set up an export to be recurring. This takes a few moments to set up but will save you from visiting Metorik every day, week, or month to export your data. 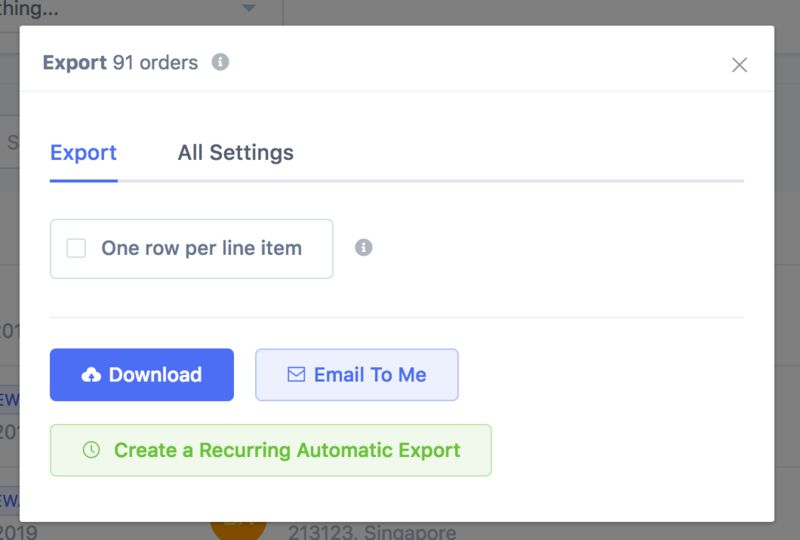 Keep in mind, recurring exports take into account all the filters, ordering, and export settings you've set up. Export name: This is just a name for personal reference and that will be used to describe the export when it's sent. Export method: You can currently choose between Email and Slack. Export to: If email, which email(s) should the export be sent to? If Slack, you can choose one channel/group for the exports to be sent to. Frequency: Choose how often you want the export to happen (daily/weekly/monthly) and the date/time to send it. This export contains 500 orders. The total gross sales for these 500 orders was $4000. The average order was for $8 and contained 2 items. Attach the CSV: if you'd like the recurring export to be attached to the email sent. It will only be possible if the exported file is under 8mb in size. When you export products, categories, and coupons, they will automatically include sales numbers for the previous period. That period is decided by the frequency. So a weekly products export would contain sales numbers for the previous week. For orders, customers, and subscriptions exports, you'll likely want to set up a date-related filter, so each export contains new data. For example, if you set up a monthly orders export, you may only want it to have orders made in the last month too. Then when creating the recurring export, simply set the frequency to be 'monthly'. You can view your saved exports at any time from the Exports page - only exports you created for the current store will be here. From there, you can edit/pause/activate/delete any exports or force exports to happen immediately. Include meta: Add certain custom meta values if they exist for the order or customer (help doc). One row per item: Output order line items on their own line with quantity and price information. Delimiter: The character used to separate each column in the export. By default, it's a comma: ','. In the export settings, you'll find an option that allows you to customise the columns of the exported file. You can do this to only include the information you need in an export or change the order of the columns. At the moment, all dates in exports are the dates in your store's timezone. This is the timezone normally defined in the WooCommerce store's WordPress general settings and in the Metorik store settings. Would you like to see the dates output in UTC? Let us know and we'll consider adding a setting for it. Customers: subscription count - Active Subscription Count (varies based on your store settings). Customers: subscription churned count - Churned Subscription Count (varies based on your store settings).